It’s cold outside, and although spring is on its way, we’re still stuck in the dead of winter in the meantime. While many people are hibernating inside their homes to escape the cold, most of these people are likely forgetting about an important seasonal issue; freezing pipes. When the temperature plummets in the winter, the risk of your home’s pipes freezing naturally hits the roof. Burst pipes happen to be one of the most common causes of property damage in frigid weather, potentially causing thousands of dollars of water damage. The pipes in your home most at risk include all those pipes located in unheated spaces. This includes basements, crawl spaces, attics, and garages, but it’s important to remember that all your pipes have the possibility of freezing if the temperature gets cold enough. Luckily, there are steps you can take to prevent this! Fortunately water pipes routed through attics is not common in Ohio, we have however seen it during a Springfield Ohio home inspection and in the Huntsville Ohio areas. You should begin to take protective measures once the temperature outside begins to drop. Research conducted by the Building Research Council at the University of Illinois has shown that the “temperature alert threshold” is twenty degrees Fahrenheit, especially in the case of uninsulated pipes running along an uninsulated space. If the temperature begins to drop, it’s recommended that you keep your garage door closed and open up the doors to your kitchen and bathroom cabinets to allow for better flow of warmer air to those pipes under your sinks. You can also allow the water to drip from the faucet (the running water will prevent freezing!). Be certain to have both the hot water and the cold water slowly trickle to prevent each of the pipes from having still water. Regarding your thermostat, on very cold nights we recommend keeping it set at the same temperature as during the day instead of pushing the temperature down a few degrees when you head to bed. This is because while everyone is asleep in bed the water is not being used at all so it is sitting still in the potentially freezing temperature pipes while the temperature drops lower at night. The still water with the lower outdoor temperature increases the odds of finding frozen pipes in the morning. Keeping the heat at normal levels lowers the chance of freezing pipes. The best thing you can do is to install insulation; it’s relatively cheap, especially considering the alternative expense of dealing with a busted pipe. Of course this needs done before cold weather arrives. Even with insulated pipes it is still a good idea to keep the water trickling and to keep the thermostat tuned up on very cold nights. If your pipe has already frozen, don’t panic. Take care when attempting to thaw them out, because it’s possible that it could have already burst. If you find that the pipe has broken, turn off the water at the main shutoff valve, usually found at the water meter or where the main line enters your home. If your water is still running-albeit at a trickle-and nothing has busted, you can take the following steps to unfreeze your pipes. First and foremost, turn on the faucet just enough to have a small flow of water. The running water will help to melt the ice. If you can access the frozen pipe, you may apply heat to the pipe using an electric heating pad, an electric hair dryer, a portable space heater, or towels soaked in hot water. Keep applying heat to the pipe and running the water until your water flow is fully restored. Do not use a blowtorch, kerosene/propane, or anything with an open flame. You aren’t trying to damage the pipe or start a fire. If you cannot find or gain access the frozen area, cannot thaw it out, or suspect something may be wrong, call in a licensed plumber to help you out. Of course, it’s best to prevent your pipes from freezing in the first place, and following these little tips, you should be all set to tackle the frigid temperatures this winter has left to throw at you! 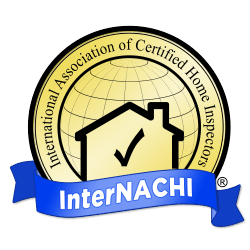 Does A Licensed Home Inspector Equate to Superior Protection?